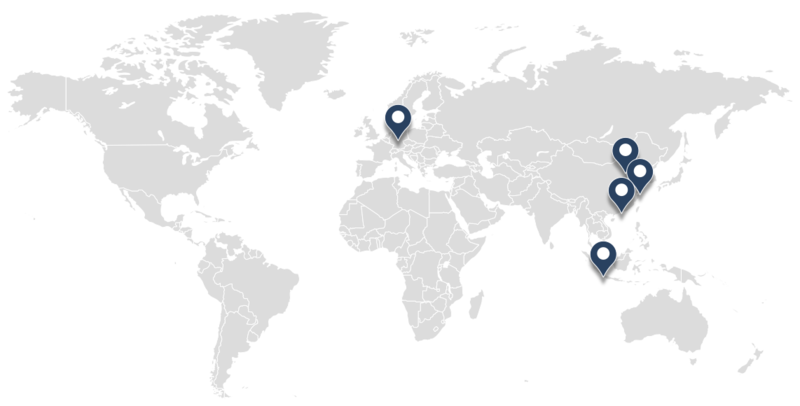 Ginkgo Search Partners has an international presence, with executive search firms in all major cities in China (Beijing, Shanghai, Hong Kong), Singapore, and Munich. Our offices around the world are empowering our executive recruiters to share expertise and work together to find and attract the most suitable leadership talent. Our office in Singapore helps us to identify and attract executive candidates in South-East Asia and our executive search firm in Munich provides us the opportunity to leverage our networks in the European markets. Besides our wholly-owned-offices we frequently work within an international partner network to support our clients. For further information please visit the location you are interested in and contact our executive recruiters.